Hello! Today is my day to be featured at CASology as part of our 100th Cue Card Celebration! Head over and check it out! I hope you've been enjoying getting to know all of us a little bit better. I have some blog candy to give away, so be sure to leave a comment below before 10 am EDT tomorrow and then I'll announce the winner! I made this card with my (currently) favourite technique - inlaid die cuts. I love the smooth surface, the wow! factor and the satisfaction of getting everything back in the right place (this can be tricky!). For this card, I used a Papertrey Happy die and a Clearly Besotted Birthday die. I lost the pink dot on the i, so I substituted with bling! Thanks so much for celebrating CASology's 100th Cue Card with us - we are so thrilled to have all of you supporting CASology and playing along with us! crafting in the kitchen, 2 1/2 years old. You're famous, you've been on the telly! 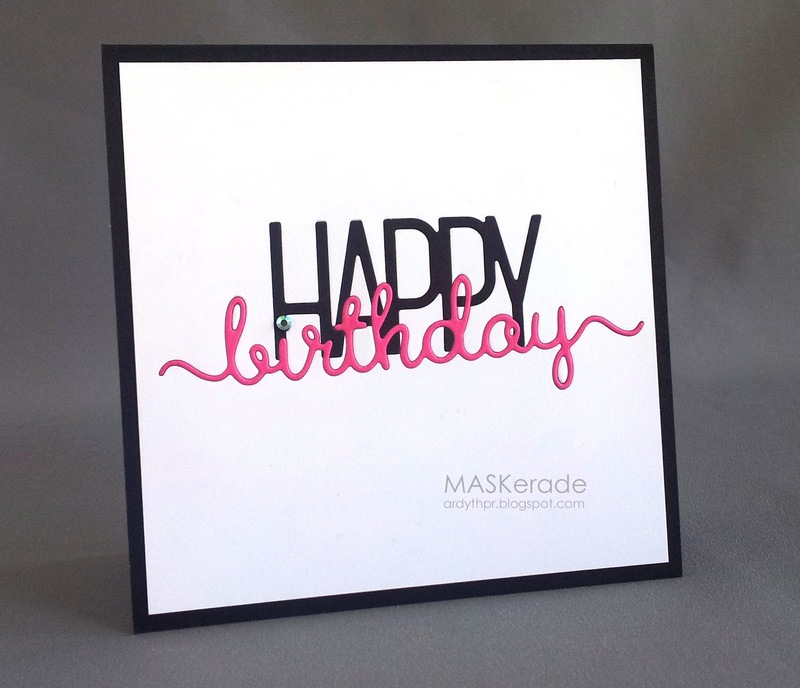 Love the bling rescue :) And no wonder you're such a talented cardmaker if you started that young! When I first came to your page this morning I was delighted and amazed! I love this fun card!! I've never tried this inlaid die cutting technique but I'm a big fan. Beautiful card, pretty colors, awesome results!! Ardyth, your cards are always such an inspiration to me. I think studying your cards and techniques have helped me learn so much about CAS design! I enjoyed reading more about you at CASology. Thanks for all of the inspiration! What a cool card, Ardyth! It's easy to see why one little piece can go missing, BUT you did find 13 of those rascals:) I rather like the bling substitution. Love that sweet picture of you (glueing on cotton balls for snow?). Congrats on the feature, Ardyth! Your old photo is SO lovely! You haven't change a whole lot really-I meant you still have the same cute look :) I am into inlaid die cut these days ,too! Love your gorgeous birthday card! I like finding out how you came to do clean and graphic designs. I always love what you do and the way you look at things but it's definitely not me. Nice work with the inlaid die technique. It creates a simple, but striking card! I love your CAS style and all the great packaging & promotional items you PIN. Such a great way to be inspired! I admire your style -- you make such a clear statement with your designs. And how do you do it every day of the year?? I have some Uniko studio flowers, but not this one, would love to add it to my stash. As always a beautiful card that says it all with so much ease. I love the feature piece brilliant. Love the card!! And you brought a definite smile to my face with your adorable 2-year-old self crafting away! Thanks for the opportunity to win a great prize. Awesome inlaid die cut card! That looks like it takes some planning! Funny that you lost the dot... I'll never tell! But great fix with the bling! Cute pic of you crafting at that wee age! Thanks for the chance at a fabulous prize... fingers crossed! It is so nice to learn more about you. 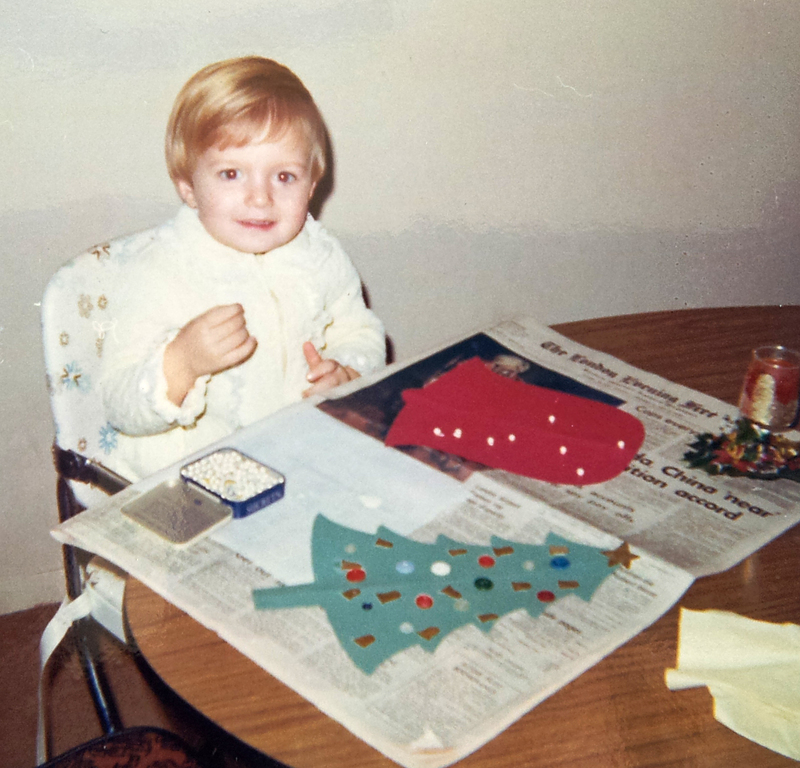 I love your inlaid die birthday card, as well as the sweet picture of you crafting in the early days. I assume you no longer sit in a high chair when you create these days? How do you manage to fit all your activities into your day and still come up with such fantastic designs. Oh, you are such a creative lady. Love your cards. Fantastic feature today Ardyth! Even a few tidbits I didn't get to know about you on our all day adventure last summer! Love your inlay die cut card today. Of course do not include me in the draw! I love your super clean style...and the inlaid look is my favorite too! I love that stamp set from Uniko...would love to get my hands on it! very cool card and i love the picture! I take my hat off to you for having the patience to make this card with the inlad work. Like someone said before - simple but so affective. Love all your cards - they always look great. This card is so gorgeous!! You know I like clean, simple and lots of white, I'm so in love with the design. It must have been a labour of love too as doing double inlays would have taken ages. Very much worth it and always looking forward to your next card. Such attention to detail Ardyth, fabulous work. Thanks for the opportunity to win schtuff! I love your cards! And I can't wait to try the inlaid technique! I love your inlaid die technique! Clean, crisp, and creative! (It also gives me an excuse to shop for new dies....LOL! yay! 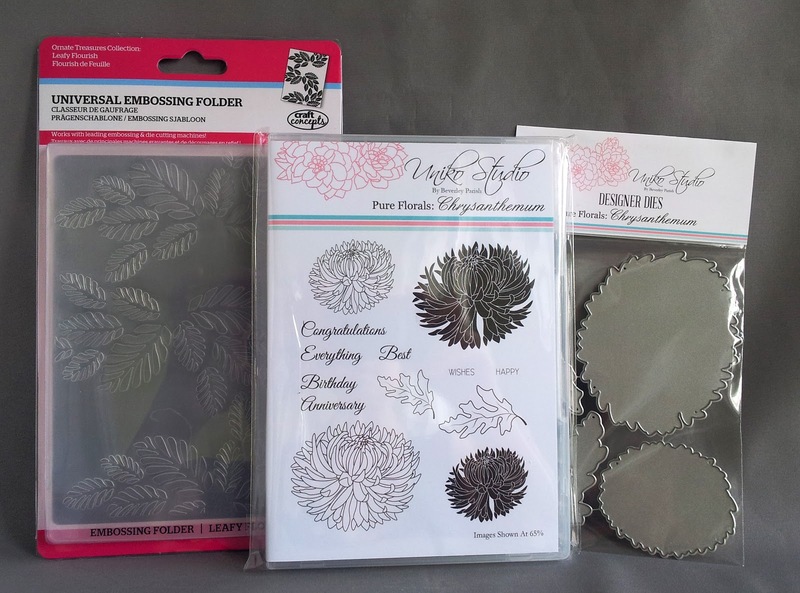 Love your card and the inlaid die cuts are beautiful! Really loving your picture too, so cute! I love your card! I would like to try this inlaid die-cuts technique. Such a sweet pic of you as a toddler! I enjoy your CAS cards very much - I don't comment very often but I get your emails every day and so enjoy your style! I love your inlaid die technique! It is great learning more about you and seeing the picture. So cute. You rock the inlaid technique, Ardyth! I really love love your style of CAS crafting...its really one of the simplest and still manages to put forward the message with so much clarity! I think my tastes have been greatly altered and defined by you and the wonderful DT of casolgy! Don't you just LOVE the neat & tidiness of the inlaid die technique? I sure do! Awesome card but not near as sweet as the picture!